MADISON, Wisc. — A prominent professing atheist organization has filed suit against President Donald Trump over his religious freedom executive order, which directs the IRS not to enforce the federal Johnson Amendment, a law passed in 1954 that prohibits electioneering (favoring or disfavoring any political candidate) from the pulpit. The Wisconsin-based Freedom From Religion Foundation (FFRF) asserts that Trump’s order is unfair because it only applies to religious nonprofits and not secular organizations. As previously reported, Trump signed the order on Thursday—the National Day of Prayer—in the White House rose garden in front of a diverse interfaith audience including evangelicals, Catholics, Jews, Orthodox, Muslims and Sikhs. However, FFRF says that Trump lacks the constitutional authority to “selectively veto a legitimate statute” signed into law more than 50 years ago, and asserts that the president is in violation of the Fourteenth Amendment in that his order is not applied equally to both religious and secular groups. 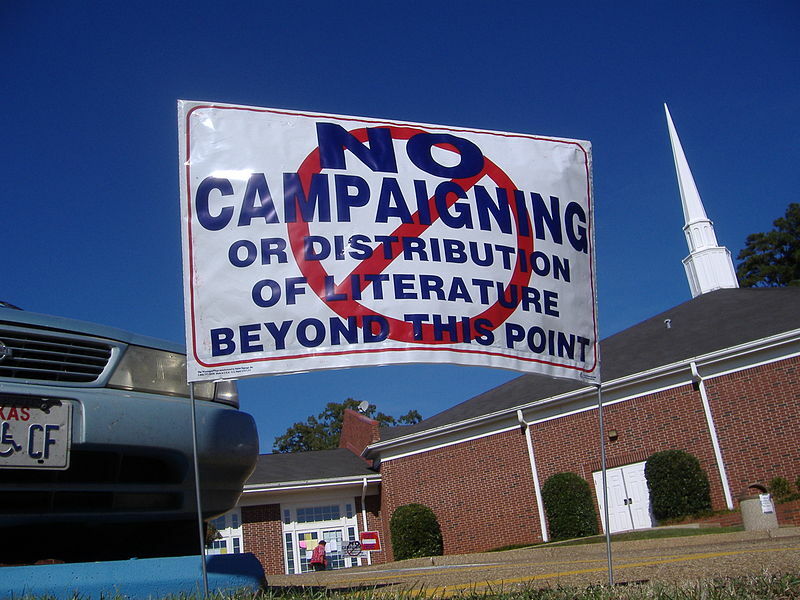 “The intended policy of selective non-enforcement of electioneering restrictions against churches and other religious organizations was designed and intended for the purpose of advancing the interests of churches and religious organizations above the interests of similarly situated nonreligious organizations, by allowing the former to engage in electioneering activities while the latter cannot,” its lawsuit contends. The group also argues that the order chills FFRF’s First Amendment right to free speech while allowing religious entities to speak freely during election season. It therefore is asking that the court declare Trump’s executive order unconstitutional, being a violation of the Take Care Clause requiring that presidents “take care that the laws be faithfully executed,” as well as an ultra vires act flouting the separation of powers. The U.S. Department of Justice is vowing to defend the order, however, which it believes to be in line with the First Amendment’s Free Exercise Clause. “We will vigorously defend the order and the exercise of religious freedom in America,” spokesman Ian Prior told the Chicago Tribune on Friday. According to historical documents, Election Day sermons were common in early America, beginning in the days of the Puritans and continuing after the official founding of the nation. “The ancient advice dictated to Moses, by the priest of Midian, and approved of God, is admirably calculated, civil fathers, for your direction on this occasion. Tis a significant compendium of the qualifications of the persons whom you ought to favor with your suffrages: ‘Thou shalt provide out of all the people, able men, such as fear God, men of truth, and hating covetousness, and place such over them,'” Gad Hitchcock preached in 1774, pointing to Exodus 18:21. “[A]bove all, suffer me to remind you that you act for God, and under his inspection, by whose providence this trust is committed to you, and that you must one day give an account to Him whose eyes are as a flame of fire, of the motives of your conduct,” he declared.